Former sports radio star Craig Carton has been jailed for 3.5 years in New York for his part in a Ponzi ticketing scheme. Carton, once of major New York City radio network WFAN, faced up to 45 years in prison after he was convicted last year of conspiracy, wire fraud and securities fraud. Carton was found to have collected millions of dollars from investors, pretending he had access to VIP tickets to sporting events and concerts. However, he used that money to pay off gambling debts and landscaping bills. At his trial he claimed that he was the one who was conned by a former partner and strung along by executives. 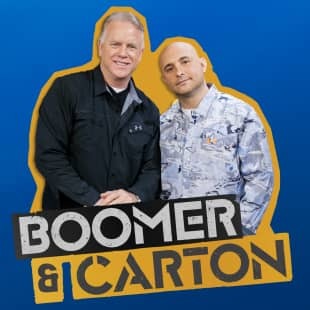 Carton, 50, was the presenter of the popular ‘Boomer and Carton’ show with former New York Jets quarterback Boomer Esiason for many years until his 2017 arrest.